Photo courtesy of Jim Nicholson Mercer Island Islanders 2017 graduate Lucas Meek celebrated with his No. 1 sign in the air after scoring a goal against the Shorecrest Scots in the first round of the Class 3A state playoffs on May 16. The Islanders cruised to a 5-0 win. Throughout Mercer Island 2017 graduate Lucas Meek’s childhood he regularly attended the University of Washington men’s soccer games. This fall he will no longer be a fan in the stands cheering the team on. Meek, who committed to play for the Huskies in August of 2016, will be a freshman soccer player at UW when the team hits the practice field this August. Meek is jovial his childhood dream has come to fruition. Meek was glad to commit to the Huskies prior to the start of his senior year of high school. “Having that off my plate was a very relieving feeling. That really helped me out my senior year,” he said. Meek, who will redshirt this fall during his freshman season with the Huskies, said he will play attacking midfielder during his collegiate career. “My freshman year will be devoted to getting bigger so I can physically compete with the men I will be going against. It will also be good to just get a feel for college soccer and playing with my teammates every day. I will get a lot of good experience,” Meek said. Meek said the highlight of his senior season this past spring was the Islanders 2-1 victory against Lake Washington in the KingCo 3A championship game on May 6 at Mercer Island High School. 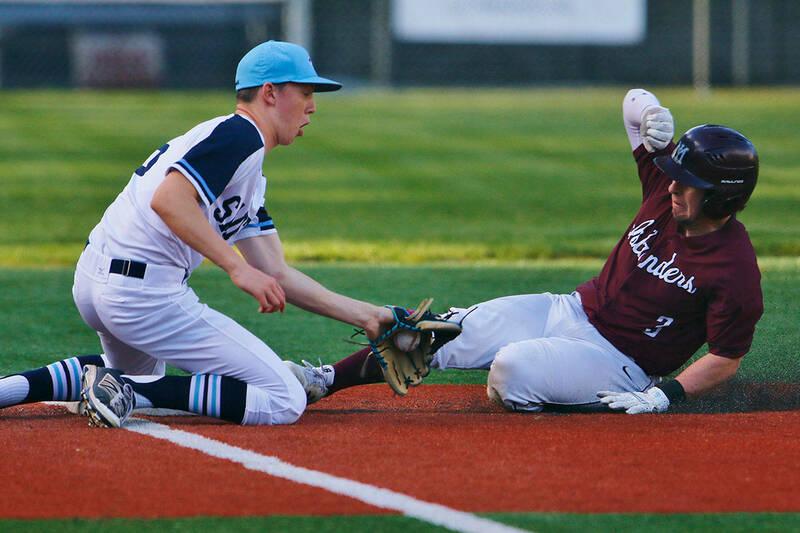 Mercer Island clinched a berth in the Class 3A state tournament with the win. “We beat LW the first time we played them in a really hard fought battle and the second time we went up 2-0 and they came back to win to break our unbeaten streak. Getting to play them later that week [KingCo 3A title game] was great. It was such an emotional game with intensity and was a hard fought game. It was a great feeling getting the trophy [after the win] and getting to dump the huge [water] cooler on Colin [Rigby). That was a great moment,” Meek said. Recently the Mercer Island Reporter had an opportunity to ask Meek a few questions about his life away from the soccer field. Lucas Meek: I’m a huge movie guy. I love to sit at home and watch movies. One movie that always comes to mind is Focus with Will Smith. It is a really cool movie. LM: For my birthday I always go to Yuzen [Japanese Cuisine] sushi place. I’m a huge sushi guy. LM: Probably when someone asks a question a lot of times and somebody clearly doesn’t want to answer it. LM: On average I would say 10 to 20 per day. LM: I love to go biking. It is not competitive biking. I have this cruiser so I love to just take it out and bike by myself and just think. LM: David Beckham (professional soccer player). I got all his jerseys, all his posters and anytime he was in the newspaper I would cut it out and put it on my wall.